T Shirt Blog - Discover Cool T Shirts, Clothing Lines and More! Eric’s first batch of samples came in, and there is a mix of good and bad. As he states in his latest blog post, the good news is that it’s not too late to fix the problems. First with the good news, the prints came out phenomenal. It should be no surprise, because the quality of printing and embroidery done in China is usually top-notch. The manufacturing and machines they have available also make the printing options almost unlimited. 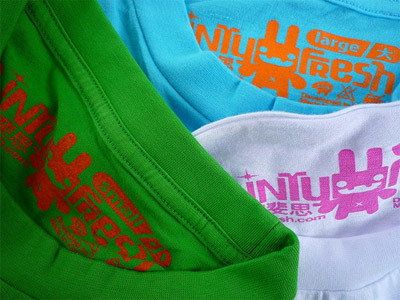 The labeling on the inside looks pretty cool in the colors of the shirts are just what you would expect from Linty Fresh. Now to the bad news. There seems to be a problem with the collars and some of the sizing is off for the girls shirts. Hey, that’s what samples are for. Eric can now make the adjustments and move forward. All in all, so far so good. We’ll be looking forward to the next update. ASOS Clothing Sale – Up to 50% Off!